After a long day at work especially when I am on my heels all day, I wish that I have someone to massage my legs and body. That will be perfect! Recently I tried OGAWA Master Drive Plus, the state-of-the-art massage experience that combines the best of holistic therapy. 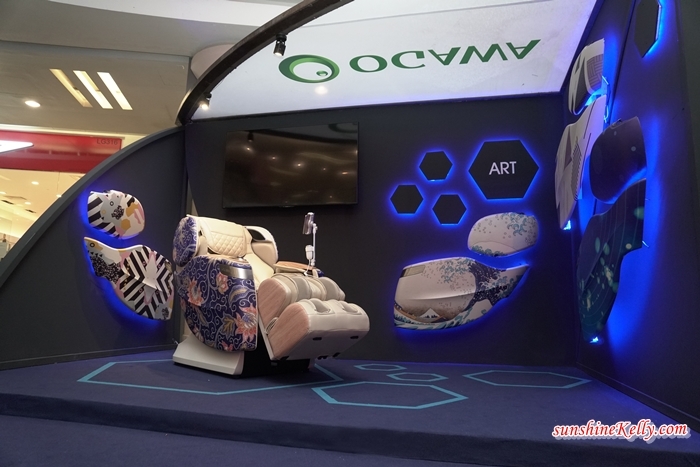 For those who do not have a masseur at home or too busy to go for massage, now you can have OGAWA Master Drive Plus with technology you can see, innovations you can feel for an ultimate head-to-toe relaxation anytime. What is so unique and great about OGAWA Master Drive Plus? 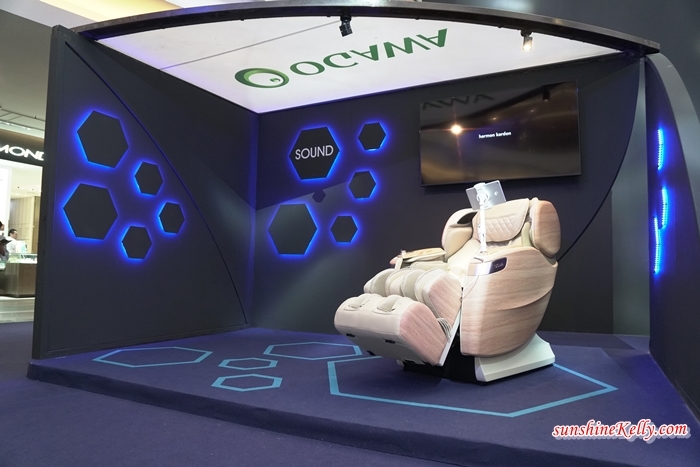 First and foremost, OGAWA Master Drive Plus innovative massage chair is powered by the brand new high-performance M.5 Gen™ and is equipped with 4D thermal rollers. It has 8 sets of precision sensors that comes with wider coverage with L-Track, automatic acupoint detection techonology, soreness detection and exclusive 3D knee, calves & sole, scraping technology. Plus it comes with a handheld device called the Health Tracker for the Master Drive Plus IA. The all-new Master Drive Plus combining the legacy of Japanese technology with the best holistic therapy with Eastern medical knowledge for our ultimate head-to-toe relaxation. What I love about OGAWA Master Drive Plus? Let’s start! After a long day at work and attending event in the evening plus wearing high heels the whole day is no joke. All I need is to sink in this massage chair and press a few buttons and I am in wonderland. Well the Master Drive Plus has a unique technology combination tracks and identifies fatigue and acupressure points in the upper and lower body, feeding this information into the microprocessor to analyze the data. Plus with the AI-Powered Automated Analytics, it then initiates a list of recommended massage programmes that is most suitable to improve my current wellbeing. Therefore I don’t have any hassle to choose the program or do the setting that I need for the parts that are sore or tired. Furthermore, with the AI virtual assistant, real time information on weather forecast or traffic condition is just a voice command away without you ever needing to leave the comfort of Master Drive Plus AI. When it comes to body sore detection, everyone has their own concerns and also the areas that they wish to relief. For me my main concerns are my tired knees, legs, calves and foot, the first time when I tried the Master Drive Plus I fell in love with the 3D knee & calves M+ Thermotherapy, calves pressure massage, ankle pressure, shiatsu foot massage, and sole scraping technology. The pressure points are on point and adjustable positions rollers makes me felt like there is a professional masseur massaging me. Whenever I go for my massage I would request for strong pressure, and most of the time I got disappointed. But with this Master Drive Plus I got the pressure that I wanted and also focus on the points that I want to be treated. How OGAWA Master Drive Plus helps to revitalize my body? After a session my tired legs are revitalized and my sore back also properly treated with deep tissue massage. Well after the massage my whole body became lighter, the stiff shoulder were relief and after that I felt that the burden on my shoulder are lessened. Omg! I wish that I could have such massage every day at home. Ahhh… that will definitely help to relieve my sore body and legs, improve my blood circulation plus relax my body after a long. And that helps me to have a better quality of sleep which is important for my skin and also work performance. Well the Master Drive Plus AI has 23 pre-programmed massage sessions, with up to 500 personalized massage combinations to meet individual body conditions to alleviate stress symptoms, improve blood circulation, loosen tense muscles and indulge in more relaxation than ever before. Not only the Master Drive Plus bringing a whole new level of healing comfort at home but also exudes timeless aesthetics through its sleek, streamlined silhouette coupled with refined finishing and craftsmanship that is sure to complement any living space while enhancing one’s sensory experience. With ambient music, mood-setting light therapy and the ultimate M-Drive Navigator paired with all new 7-inch touch screen display with OS 2.0, this massage chair has elevated the dimensions of massage experience in the home wellness industry. The Master Drive Plus AI is also equipped with premium Harman Kardon speakers, a premium audio brand for more than 60 years, that delivers an extraordinary sound experience. Overall what I really hooked on this massage chair and wish that it could help to relief my muscle tension and provides me with an ultimate heal-to-toe relaxation. Once again I love the deep tissue and tui na massage that helps to ease my back muscle pain and sole scraping technology. OGAWA Master Drive Plus is available in Fox Red, Espresso and Graphite, the Master Drive Plus is now available at all OGAWA stores nationwide retailing at RM 21,999. The Master Drive Plus AI comes in three colours – Urban Khaki with Woodgrain Panel, Black and Grey.